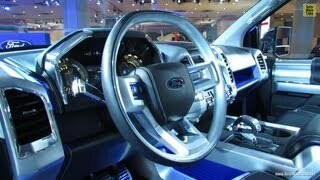 The 2013 Ford Atlas Concept was unveiled at the 2013 Detroit Auto Show. 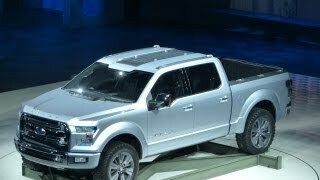 With the Atlas Concept, Ford wants to showcase the design, capability, fuel efficiency and smart technologies that will define future pickup trucks. 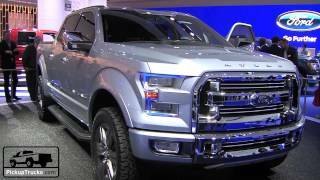 On the exterior, the Ford Atlas Concept features noticeable elements like prominent wheel arches, a wide stance and chiseled grille; which reinforces the Build Ford Tough Look. The Ford Atlas Concept uses improved aerodynamic elements like Active Grille Shutters, Active Wheel Shutters, Drop-Down Front Air Dam and Power running boards to help reduce the drag and thereby improve fuel economy (additional 2mpg improvement).